Our first official full day in Buenos Aires actually begun. Russ had to be up early and at his Spanish school Coined, by 8am and I went along for the trip. While he was in getting assessed on his Spanish skills I sat around the lounge area and surfed the net for a bit and tried to plan my day. When Russ finally got out and had time to spare we headed to the coffee shop across the school for a much needed coffee. It was great to just sit there and just watch people hurry along on their way to work. Buenos Aires is a huge city, very metropolitan, and everyone is busy trying to make their living, but are very laid back and willing to just talk with someone along the way. It’s very refreshing to see. When Russ headed back into class, as his afternoon is fairly booked, I headed out to explore and get a SIM card for our phone. I went to several locations, Movistar and Claro, but no one seemed to be able to sell me a SIM card. I thought it was very odd. I even went to one of the Claro’s main stores and they told me to go to another store up the street, where they of course told me they didn’t sell them. I was beginning to think that no one wanted my money. We were fortunate enough to see a quick tango show which I thought was interesting. After the male/female pair finished, the two male dancers began their very own tango. I have heard that the tango began with men dancing together, but have never seen it before in action. It was fun to see and the audience really got enjoy a great free tango show. 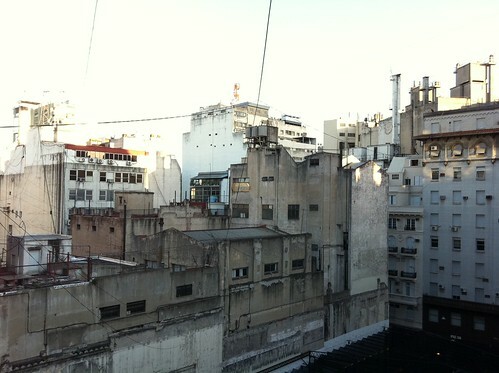 So we finally made it here to Buenos Aires. I have to admit I was starting to get my doubts while we were in Toronto waiting for our flight. Our initial flight was to leave at 11:45pm local time, but then they pushed it to 12:30 and then 1:00. Supposedly there was a “maintenance issue” with the plane that needed to be dealt with. My sister was working on a plane next to ours (yeah she works for the airlines) and she was able to tell me that the plane had some washroom problems. Needless to say her rendition of the event was far more entertaining. I for one wasn’t looking forward to option 3, and option 2 would still get us there, but much later than I would have liked. At any rate, they opted for option 1, but we still had to wait while they loaded the plane and then had to deal with another plane behind us. We ended up leaving 2 hours after our scheduled flight. The flight down wasn’t that eventful and fairly comfortable. I managed to get some sleep on the plane and the neck cushion I purchased before the flight was awesome. No neck pain at all today. 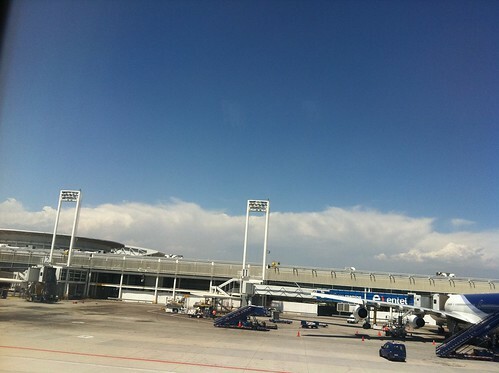 We landed in Santiago Chile and had to disembark the plane as they cleaned it up and loaded it with newer passengers. What would have taken 1 1/2 hours initially, we only took 1 hour to make up for the lost time. Finally making it to Buenos Aires 2 hours after our scheduled landing, the process was fairly quick. I was traveling with my Canadian Passport, but since it lists me as being from Argentina on it, I didn’t have to pay the $75 Visa fee that Russ did. I was pleasantly surprised that I didn’t have to pay. That said, there were a few passengers that were surprised they had to pay. So be warned Canadians, you have two options; pay a one time fee of $75US or pay $150US to allow you entry into Argentina for the next 5 years. We rented a Remise, which is a personal taxi service that takes you door to door and met at our rented apartment for the next three weeks. Little to my knowledge we waited outside for over 1/2 hour and when I finally was able to get a cellular signal, I called our rentor to find out they were waiting in the apartment and all I had to do was buzz them in. The apartment is tiny, but for what it is and what it will do, it will be just fine. We have a very small working kitchen, a table, a bed and a bathroom. Perfect I would say. Now tomorrow Russ begins his Spanish classes and I will start to explore the city further and hopefully meet up with the other Vancouverites who are in the city now as well as go visit my family if I can make it out at one point this week. I haven’t gone out and take pictures yet, except for my those through my iPhone, but I hope to rectify this fairly soon. With just 3 days left before Russ and I take off to Buenos Aires, I’m frantically trying to wrap things up both at work and at home. We have a few of the bigger details dealt with already. We have someone that will be looking over our condo during our time away (sorry folks, the condo won’t be left alone 🙂 ), we have our pet’s boarding reservations completed and we’ve extended our Buenos Aires apartment for the full 3 weeks now. Now it’s just the little things. I need to make sure all my toiletries are bought, granted anything I’ve missed I can buy down there, we need to make sure the condo is cleaned and in good order for our guest, get some money exchanged and I need to tie up any loose ends at work. I would have hoped this week at work would be slower, but already I have 3 meetings booked for the remaining 3 days left. I’ll also be here at work later than I would have hoped, but these after work meeting are important to me and it will make sure that my IABC/BC board duties are dealt with. So even though I’m sort-of in “holiday mode”, I’m still nervous I’m missing something and worried that I’ll forget something before I take off. 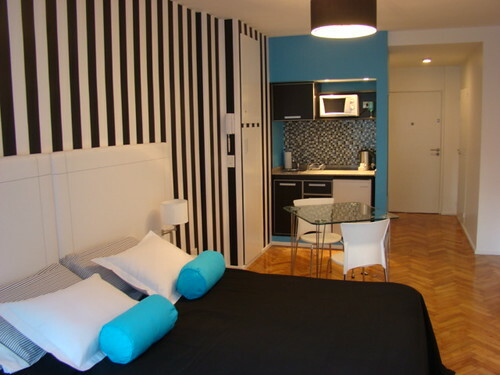 I think I’ll be more relaxed once we are in our Buenos Aires condo and our vacation can actually begin. 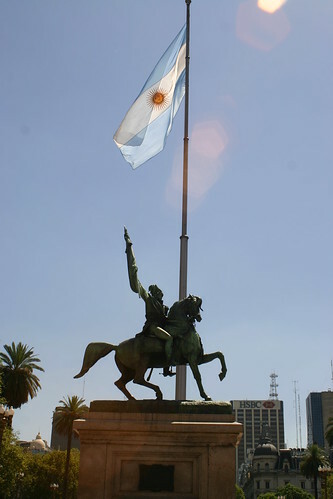 Buenos Aires – One More Month and Counting! I’m getting excited again. Yup after a hard month of November, I’m actually starting to get excited about being in Buenos Aires Argentina next month. And officially it’s only a month today that we will be landing in Buenos Aires. This will be a different trip from my previous trips there. This time around I think it will be less family time and more exploring time. We have a few mini trips planned when we are there and hopefully we’ll be able to accomplish most of them. Russ will be busy with his Spanish classes during the first 2 weeks, and I will probably explore the city, with my camera in hand. The city is full of history and amazing architecture and I want to document as much as I can without feeling like I’m working :). Of course I’ll be be blogging away about my excursions and hopefully, hopefully have my posts on some different blogs (working on some details there). At any rate it will be a well deserved vacation. I’m hoping to of course see some family while I’m there and reconnect with them. This year has been filled with ups and downs, but so far is ending better than I had thought a month back. With less than 3 months away before the big trip back to Buenos Aires Argentina, this week we finally got our condo booked. Thanks to my dad, who was down there, and has some connections, he was able to look at the condo and put the deposit down for us on a studio condo. I couldn’t argue the price of only $560 for the 2 weeks we plan to be there. 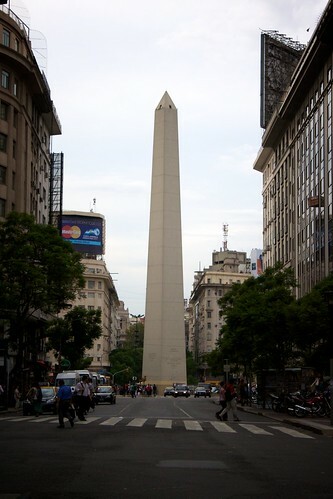 Alas we are not staying in the heart of Ricoleta or Palermo SOHO as we had hoped, but we are staying in the Centro where Russ will only be 3 blocks away from his school and we’ll be one block away from the famous Obelisk that towers over the main 9 de Julio Ave. I think this location will be a great point for us as we explore the wonderful city of Buenos Aires and make it our home base. Now of course I’ll have to try to figure out what I’ll be doing during the hours that Russ is busy with his language schooling. Hopefully I’ll be able to hook up with Duane who will be in the city for a few months, otherwise I might just take the train and visit my aunts at their home during the day. All in all I’m starting to get really excited about this trip. This will be one of the longest visits for me to Argentina in sometime.